Affiliate networks don’t score pure leads. Networks delay payouts (sometimes, sadly, forever). Webmaster shows an earning pattern to an afilliate manager, and the information leaks. As a result, the pattern doesn’t generate profit any more. Sigh. That’s already not so hot, right? But with affiliate networks, it gets even worse. Webmasters only jeopardize their own safety and resources, while networks have way more responsibility before their partners and publishers. Firstly, an advertiser pays to an affiliate network for all leads without exception. They include conversions from all publisher including honest and dishonest ones. Even one fake lead of 500 is already a reason for an advertiser to doubt the quality of the affiliate network. For instance, if an advertiser finds out a few purchases from stolen credit card, they may refuse to pay for all offer leads including the pure ones. As a result, an affiliate network will have to pay webmasters for those leads out of pocket. Secondly, many advertisers (especially in the English-speaking segment of the web) are very serious about the legal aspects of their business. Any abuse on the advertiser’s website may cause stopping the offer, blocking the payouts, and a series of tough talks with the lawers of the advertiser. Moreover, Can Spam Act is in force in a US territory. It provides the amenability for any kind of spam mailing. Even though it is almost impossible to prove the networks’ complicity for a criminal case, legal battles are quite expensive and unpleasant for an affiliate platform. Thirdly, any case of work with a dishonest publisher affects the network’s reputation. Somehow even the fairly punished webmasters tend to wash dirty linen in public. As a result, an affiliate network has to explain itself – and shows itself at a disadvantage. Forthly, unlike publishers risking only woth their own money, affiliate networks have way more responsibility against their teammates and partners. Every case of fraud is much more costly for platforms than for webmasters. Why? Because the affiliate network has to be sure about the traffic. If you say it’s the AdWords traffic, it has to be traffic only from the contextual advertising and nothing more. That’s why we’ll ask a screenshot of an account and a couple of keywords to find an ad in the paid search. So, what do you think? Which request will be processed better? It often seem that the network’s support ignores webmasters’ questions, but in fact pulishers ignore their affiliate managers even more often. In most cases, just one honest conversation can break the ice. If you don’t feel comfortable, don’t leave the affiliate program right away, just talk about it with your manager. Your communication should not be impersonal. When you fill in the form, don’t try to stand out by calling yourself “Statham” or “Jobs”. The managers will barely appreciate your sense of humor, they will find it suspicious. And add your affiliate manager to the contacts. Endless support tickets won’t make your life easier. Affiliate marketing requires mutual advantages. If you have any ideas how to improve the affiliate network, share them with the support team. Any business has to be flexible, and affiliate programs will be happy to help you with your issues. If you can increase the number of leads, but you want larger payout rates – ask you manager! If you can increase the number of leads, but you want more frequent payouts – don’t keep silence! Do you have traffic for a certain type of offers, but the network doesn’t have them? Tell your affiliate manager to find that offer for you. Don’t try to fool the support team and mistake the wish for the reality. If an offer doesn’t allow your type of traffic, say it to your manager, they might persuade the advertiser to accept it! We cannot give you higher payouts, pay you more often, or give you other perks right away, when you have just registered in our network. All good things come to them who wait. Thanks for understanding. If an affiliate program asks you about your traffic, don’t panic. The only thing they are actually interested in is the presence of the named traffic. Just show them your screenshots, and you’ll be fine. All affiliate networks make their living only with their publishers. That’s why affiliate programs are open to meet webmaster’s needs, resolve conflicts, and compromise. Don’t hesitate to ask questions, your manager will try their best to find the answer. A good publisher is as valuable as gold nowadays. Remember that an affiliate network will go long to win your respect. 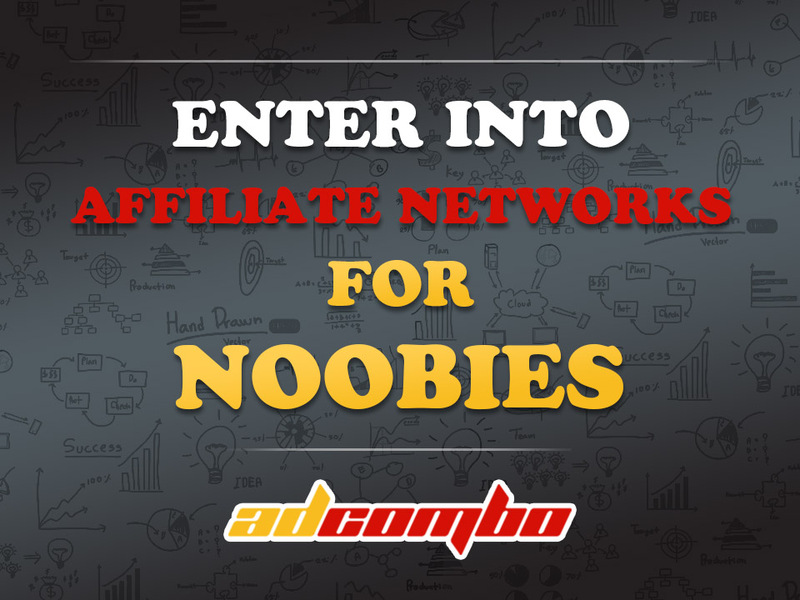 How to enter Affiliate Networks. Guide for noobies. I found your article informative. I just applied to a new affiliate marketing network for more products to promote on my website (within articles I write). You have to be careful about being defrauded.